Buy this item and earn 524 ClubPoints. 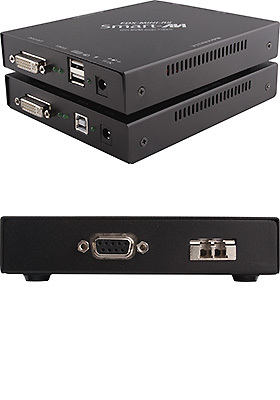 For reliable, uninterrupted and long-distance DVI-D KVM extension, FDX-Mini provides the best solution with its fiber optic extension capabilities. Users can bridge large gaps that they ordinarily could not with this compact device. FDX-Mini includes a transmitter and a receiver, for complete point-to-point signal extension, with no need for any other hardware or software. Using FDX-Mini technology, this fiber DVI extender is capable of sending a DVI-D signal up to 1,400 feet (426.7 meters) over a conventional and inexpensive multimode fiber cable. Supported resolutions up to 1920x1200 @ 60Hz. 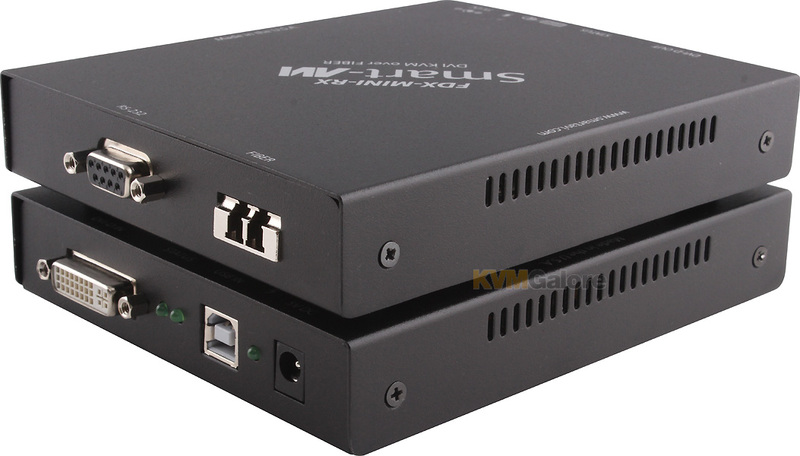 As with all DVI-D and USB connections, the signals are transmitted via the extender. 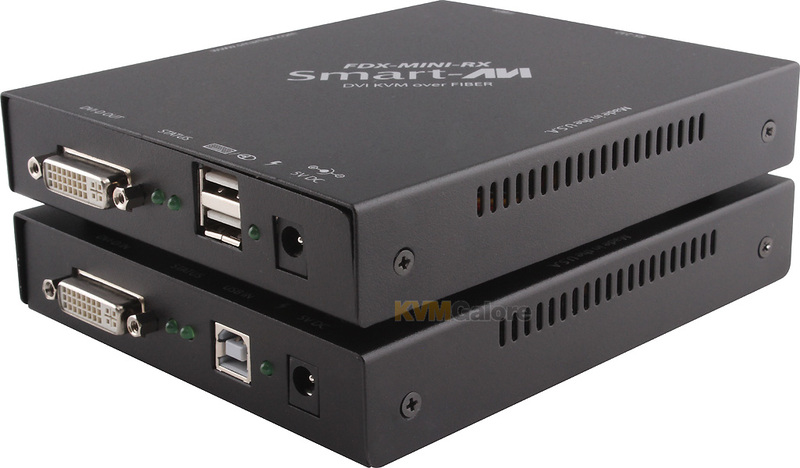 FDX-Mini also has USB keyboard, mouse, and RS-232 support, giving you the ability to control your displays or devices remotely.